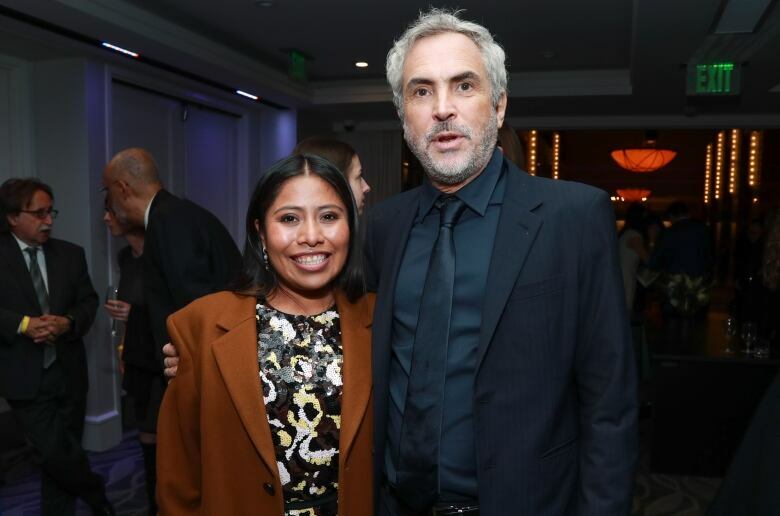 Mexican schoolteacher-turned-movie star Yalitza Aparicio had never acted before being cast in Roma. Now, she could score a Best Actress nomination at the Oscars. Film journalist Tina Hassannia tells us about some other famous non-actors who paved the way. When the Oscar nominations are announced on Tuesday, Lady Gaga is widely expected to get a nod for her first leading role in A Star is Born. But while Gaga is no stranger to the stage, she could wind up contending against an actress who doesn't have any prior experience in the entertainment industry at all. 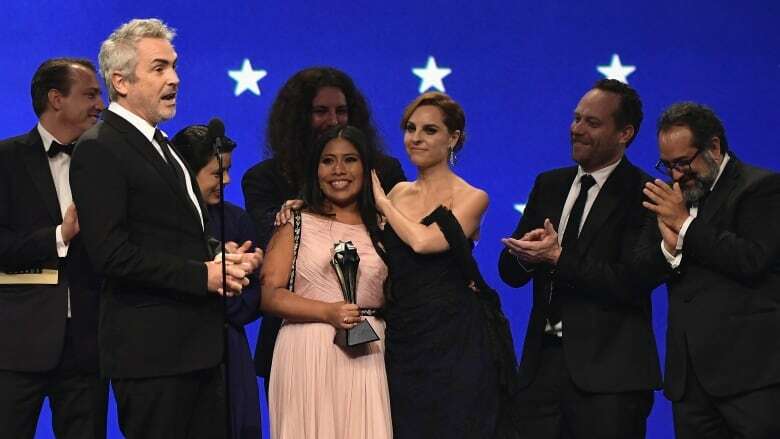 That actress is Yalitza Aparicio, a Mexican schoolteacher who made her silver screen debut last year as the star of the critically-acclaimed Netflix drama Roma. Aparicio's performance has already earned plenty of high-profile recognition, including a best actress nomination at the 2018 Critics' Choice Awards. But before she set foot on the Roma set, Aparicio had never acted before. And while she might face tough odds to take home an Oscar this year, she wouldn't be the first non-actor to be honoured by the academy. Canadian film critic Tina Hassannia says non-actors have a long history in cinema around the world. "Yalitza [Aparicio] is not the first person to have just entered the world of acting out of nowhere and then risen to fame," Hassannia told CBC Radio's Day 6. "There are some very interesting stories about how certain people just sort of fell into showbiz and managed to make it pretty far." Lamberto Maggiorani was working in a factory when he was cast as the protagonist in Bicycle Thieves, directed by Vittorio De Sica. Maggiorani earned about $1,000 US for the role, according to Hassannia. But when he returned to his factory job after the film wrapped, he was laid off. "His employer thought he'd done the whole rags to riches story and he no longer needed the job," Hassannia said. "But that wasn't the case." Bicycle Thieves, which is considered a classic of Italian neorealism, was among the earliest films to star a non-actor, according to Hassannia. During that era, Italian directors frequently cast real people in their films in an effort to "tap into a level of authenticity by using people who were living that reality," Hassannia said. Haing S. Ngor, who was himself a refugee from Cambodia, played the role of journalist and refugee Dith Pran in Roland Joffé's 1984 film about the Cambodian civil war. Ngor survived three terms in Cambodian prison camps under the Khmer Rouge regime before escaping to Thailand and eventually moving to the United States. Ngor was cast in the film by "happenstance," and wasn't initially interested in taking on the role, according to Hassannia. But his own lived experience convinced him to take the job, Hassannia said. "He had promised his late wife to tell the story of Cambodia to the world," she added. In 1985, Ngor became the first — and only — Asian man ever to win best supporting actor at the Academy Awards. "Given his previous life circumstances, I think he did pretty well for himself in the United States, all things considered." Before she was cast alongside Beyoncé in the 2006 movie-musical Dreamgirls, Hudson was an aspiring singer. But while she'd gained minor fame as a finalist on American Idol in 2004, her trajectory as a vocalist had stalled. Despite her lack of acting experience, Hudson's performance as Effie White turned out to be a career-changer. Hudson didn't just win an Oscar for best supporting actress for the role. She also received a Golden Globe award, a BAFTA award and a SAG award. "[She] managed to use her success in Hollywood to keep going in her original profession as a vocalist," Hassannia said. To hear more from Tina Hassannia, download our podcast or click the 'Listen' button at the top of this page.